Carry your cigars with style personalized for you or as a gift. For a custom design please request a custom order for this item and we can discuss what you'd like tooled as a design. This is a made to order three cigar holding, leather telescoping case. 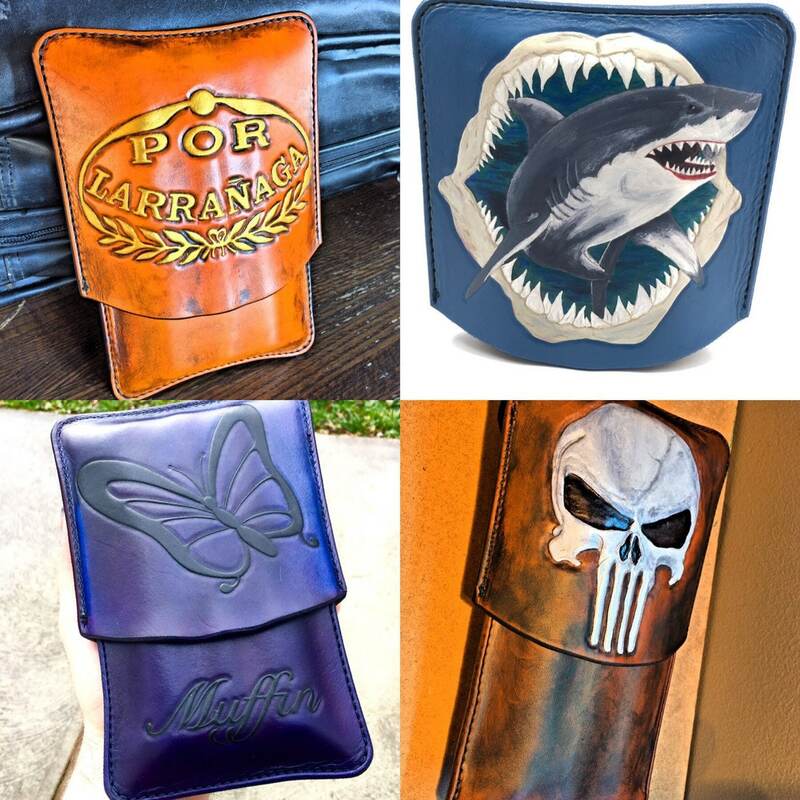 The above images are EXAMPLES ONLY of previous cigar cases similar to what this custom order is. These items pictured in the example photos are not the exact cases being sold, but custom made ones similar to them. -Color: Over all color (Almost any color available, and a few antiqued brown or saddle tan colors). -Design: Indicate a design that you want with a picture or idea, possibly a cigar logo or design similar to the examples. I'll work with you to find and figure out something that suits you and will translate well. Super small detail may not translate to the case if it's too small. Please allow at up to 6-8 weeks for order to be complete and shipped. I have my iPhone with the Etsy app on my hip at all times and will notify you as soon as things are complete. This was a Christmas gift for my husband. He is absolutely delighted. Wonderful craftsmanship. Thank you! !